Kliph Nesteroff: I was just looking at an Earl Wilson column that you were mentioned in. It was about a 1968 Friar's Club Roast that featured yourself, Joe E. Lewis, Joey Adams, Jack Dempsey, William B. Williams, Henny Youngman and Arthur Godfrey. Bobby Ramsen: Earl Wilson was very nice to me. He mentioned me quite a few times after I started playing The Copacabana back in the sixties. So, Kliph. Tell me about what has been going on with you. 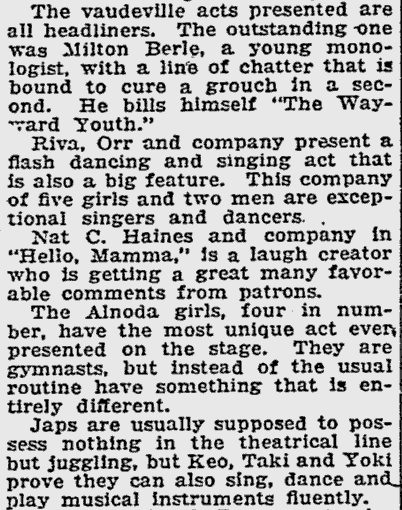 Kliph Nesteroff: Well, I just published that article about the nightclub comedian Joe E. Ross. He had a very sad life. He died on stage. Do you know that story? 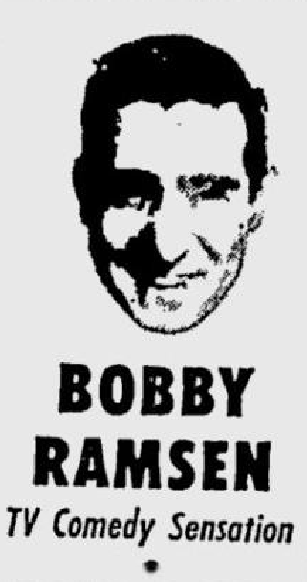 Bobby Ramsen: Yes, I had heard that he had gotten up to do... in the building that he lived in they were putting on a show. He got up to do a turn and he expired on stage. He was a well-seasoned comic. He had been around for a long time. 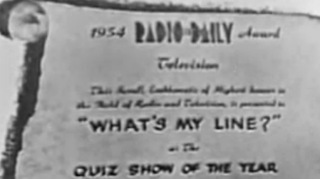 I think he was on the Bilko show before Car 54. It was the same people. Nat Hiken. He did another one with Imogene Coca. Kliph Nesteroff: He was in a comedy team briefly with a guy named Dave Starr in the late forties and early fifties. Bobby Ramsen: Dave Starr had a big reputation when I first came around. I was just a kid. He was a big stag party comic. Guys are gonna get married and they used to throw a big stag party for the groom-to-be and he had a repertoire of dirty jokes. He worked all the time. You know who did the same kind of thing, but on a cleaner level? Myron Cohen. He had a manager named Harry Adler who also handled Alan King. This was during the War. He was employed in the garment district by some clothing house, but he had a knack for telling stories. He used to regale his co-workers. He was a salesman, so he would do stories on the road when he was selling his stuff. He started to get up at Leon and Eddie's on Sunday nights and he made a little bit of a name for himself there. This was told to me by Harry Adler. He said that when young boys were going away to the army, their parents and friends and co-workers would throw them a going away party. 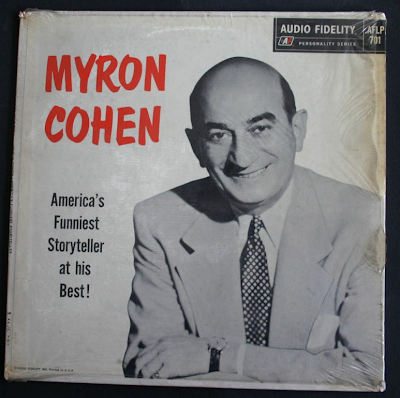 Myron became the favorite entertainer for those jobs. As it worked out, it became a very, very big income for Myron. Not only were they doing the going away parties, but as the War was winding down they started to give them welcome home parties (laughs). So he got 'em going and coming and Harry told me they made a lot of money. This also may be of interest to you. 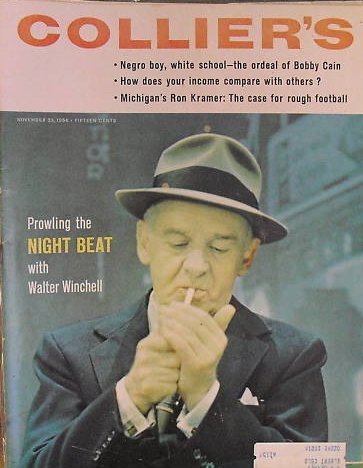 Walter Winchell took a hate on for Myron. Bobby Ramsen: The way you say "really" means you haven't heard the story. It's a wonderful show business story. 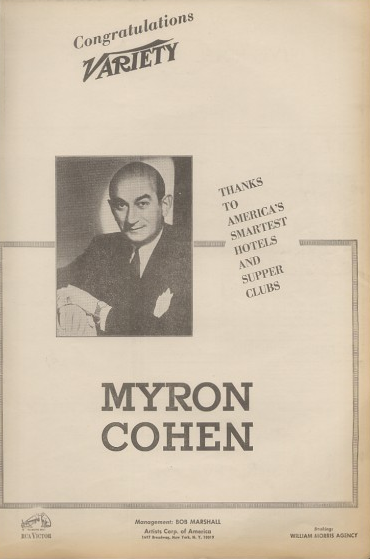 Walter Winchell went to see Myron Cohen's act and he found him offensive. He thought the accent was offensive, he thought the jokes were offensive. He just did not like the guy. And he was very popular and I think he may have caught him at one of those Leon and Eddie's celebrity nights. So he really got on his case and if Winchell got on your case it did not help. If he got on your case in a positive way, he could make a star out of you overnight. The juice and the strength that he had from his column was unbelievable. So he got on Myron's case and he stared to refer to him as "Comic with a V. Vomic, Myron Cohen." He was really pounding away at the guy and it was not helping his situation. 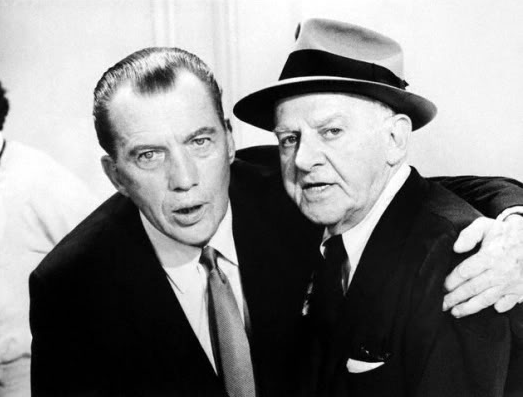 Now Ed Sullivan and Winchell had a long going dislike for each other. They really couldn't stand each other and Winchell had more power than Sullivan at one time because more people were reading him and he just had a bigger reputation. 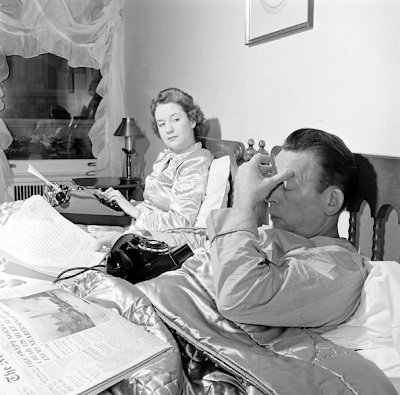 Sullivan was writing for the New York Daily News and Winchell was writing his column for the Daily Mirror. When people bought the news they always bought both of them. There was a big important ball put on by the Daily News at Madison Square Garden. The Harvest Moon Ball. They came to Sullivan and asked if he wanted to do it. He wasn't sure. He was ambivalent. His wife Sylvia insisted that he do it. A lot of young people got up and they did dances and they would show it on the Movietone News, the winners of the Harvest Moon Ball. Usually the winner was a young Black couple doing the Jitterbug in those days. Sylvia got Ed to [host] it. He didn't want to do it. It helped his reputation and one thing lead to another and before you know it Toast of the Town came along and Sullivan was the master of ceremonies. 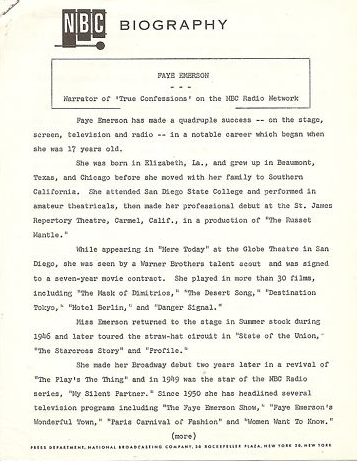 It was called The Toast of the Town starring Ed Sullivan, which became The Ed Sullivan Show. 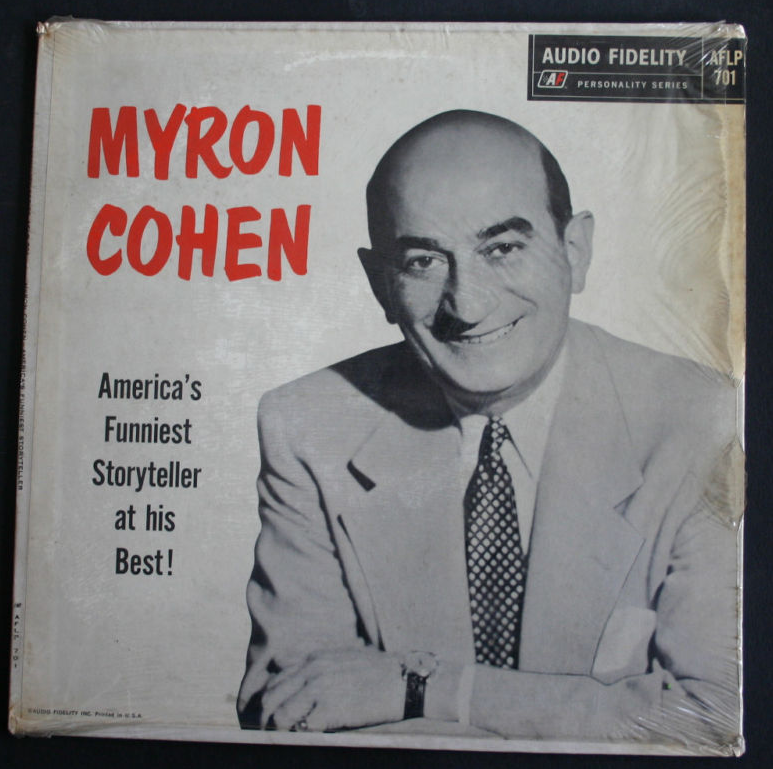 Out of spite for Winchell, because of the way he treated Myron and took such a hate on for Myron, Sullivan started to use Myron Cohen every other week (laughs). And he made a gigantic, national star out of him. Myron was on the Sullivan show with the exposure and he started to play Vegas. As it turned out it was a second hand stardom because it started out [with the purpose of] giving it to Winchell. Sullivan was so powerful in television. 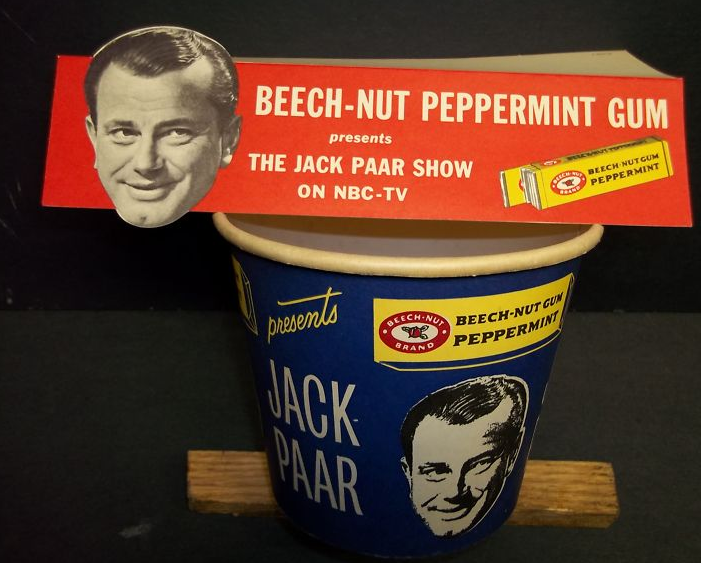 Winchell also had a fight with Jack Paar. Bobby Ramsen: He got ahold of some information that Jack Paar had never voted - which turned out to not be true. Paar came on and it became a little show business war. It wasn't a show business war in quotes like Jack Benny and Fred Allen had a show business war, which was all in good fun. 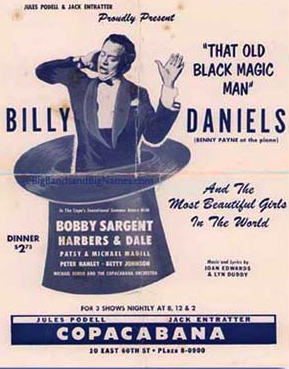 And there was another Winchell feud before my time between Winchell and a bandleader named Ben Bernie. Kliph Nesteroff: Sure, Ben Bernie and his Hotel Roosevelt Orchestra. Bobby Ramsen: I think I heard that there was a point in time when they were brother-in-laws. Kliph Nesteroff: Did Myron Cohen and Walter Winchell ever make peace? Bobby Ramsen: I don't think so. Right on the heels of the story I just told you, it all happened so rapidly that television became so big. This was the 1940s. 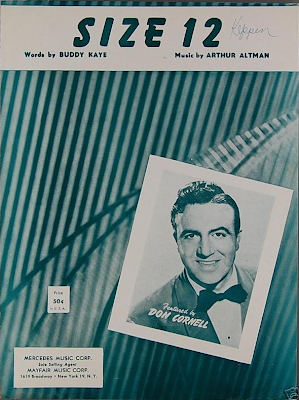 Sullivan started on Toast of the Town in 1948. The statistic that I heard recently was that in 1948-49 there were something like five thousand television sets in America. And people were watching, mostly, the telepattern. They couldn't take their eyes off the test pattern (laughs). My neighbor in Yonkers where we lived [had a television]. Only rich people had a television set. The screen was ridiculously small. But you couldn't take your eyes off of it. You couldn't believe that image was coming from downtown New York at NBC studios. 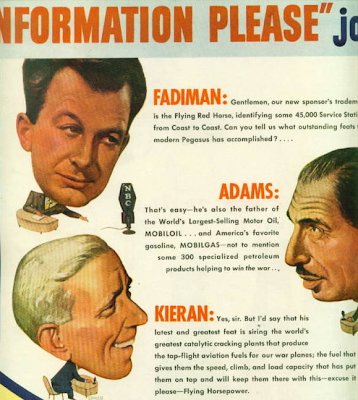 Anyway the statistic was that in 1948-49 there were five thousand sets. By 1954 there were five million sets. I mean, the astronomical jump, it's amazing. 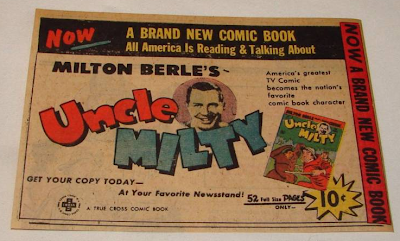 Of course, Milton Berle got credit for a lot of it and certainly the Sullivan show got credit for it. I had started to work around 1950 and I gathered together a few dollars and I gave my parents the gift of a television set. They were so thrilled with it and I was just so thrilled that I was able to do it for them. It cost me two hundred and forty-two dollars. I will never forget it. It was an Andrea TV set; a company that was selling a lot of TVs, but they disappeared or were absorbed. Berle had the reputation of selling the sets and then somebody turned it into a famous joke. 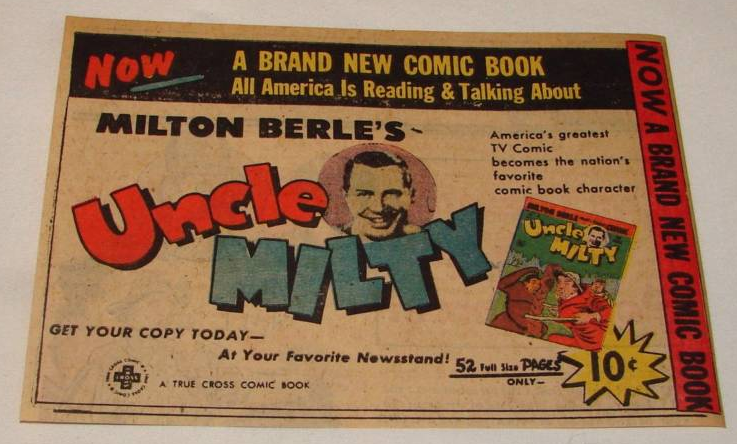 "Milton Berle because of his show, sold more television sets than anybody else..." This is the kind of line that would be in Earl Wilson's column, you know. 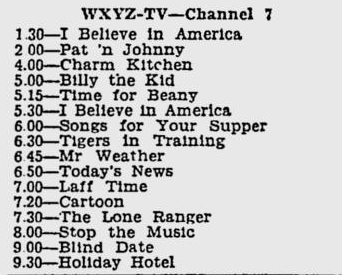 "Henny Youngman said at Lindy's the other night that Milton Berle has helped sell more television sets than any entertainer that ever lived. Youngman says, 'I sold mine. My brother sold his..."
Kliph Nesteroff: Right. Classic joke. Now a few years before that, I understand that you yourself had started out in radio as a child actor. Bobby Ramsen: That's true. I was a radio actor. I was just so gung-ho about being an actor. I told my parents when I was eight years old I wanted to be an actor. I just knew I wanted to be an actor. Somebody came on WOR, the Mutual Network, and they said, "We're looking for young actors." They gave the address 1440 Broadway. I was following all the radio shows and I would [look at] the variety pages and the nightclubs and the goings on. Frank Farrell wrote a column for the World Telegram. There were seven newspapers at the time. There were a load of newspapers in New York. All of these papers reviewed the Broadway shows. It was an amazing era. Anyway, I heard on the radio they were looking for young actors. I told my parents I wanted to go. I was just a kid. This particular audition for young actors was for kids in their twenties. So they were smiling that I had shown up. My parents were talking with some of them. And they let me read. I got a taste for it. 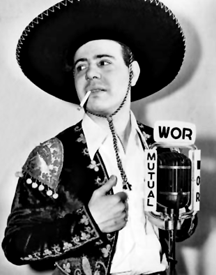 A couple of years later I did my first radio show around 1939, 40, 41. I had a whole list of radio shows that I did. There was a lot of radio in those days, what the golden era of radio was. Interestingly enough, it really didn't last that long. The very first broadcast of note was the election returns broadcast by KDKA in Pittsburgh for the Harding election back in 1923. That was the first big thing people were listening to on their crystal set. It was really a very primitive, simple gadget. But boy did it ever take hold. It ended around the middle nineteen fifties. So it lasted from 1924-1950. The heart of it, the really golden years [featured] a soap opera every fifteen minutes and Edgar Bergen and Charlie McCarthy, Fibber McGee and Molly, The Eddie Cantor Show, Burns and Allen and Bob Hope and Bob Burns. So many people. 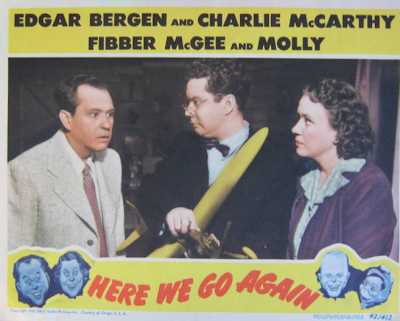 Fibber McGee and Molly were small time in vaudeville, but boy did they ever hit on radio! They became huge stars on radio. The same with what television did for a lot of people. Faye Emerson had a small little talk show and there was another woman named Maggi McNellis that had a little talk show. Kliph Nesteroff: I remember Faye Emerson best from I've Got a Secret. Bobby Ramsen: That's right, that's right. Here's another story about that era. My brother was a radio actor also. He ended up making a very important motion picture called City Across the River for Universal. Back in the very early fifties, when my parents got that television set, they fell in love with What's My Line. They thought it was just the greatest show that had ever come down the pike. They were big radio fans too. They used to listen to Easy Aces and Information Please. 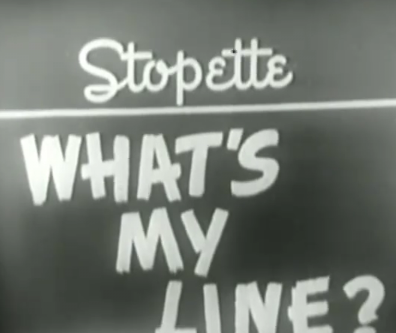 One of the big features of What's My Line was that everyone puts on [a blindfold] mask and a celebrity comes in and "Sign in please, mystery guest." And through a series of questions they [have to guess] who it is. Anyway, my brother in his travels going from studio to studio picked up a script of What's My Line. And [on it] there are the questions for the panelists to ask. Bobby Ramsen: Yeah, so he thought it was swell. Anyway, he went home, Kliph, and he showed it to my parents. They were so livid! He said years later that he was so sorry that he ever picked it up and brought it home because they loved the show so much and they felt so taken. The fact that it was all written stuff... they just never ever watched that show again. They hated the whole idea. It's interesting because, airtime is so precious. They can't take a chance that the performers are going to mumble and not have anything clever to say. It's a show. It's show business. But they thought it was off the top of everybody's head. The dishonesty of it all is what got to them. You could understand their point of view. On the other hand, the [network] can't take any chances. They're on the air for a half hour and it's a big, big show. But it's interesting that there was a script involved. Bobby Ramsen: If you do a guest shot on the Carson show or on the Letterman show, they have a group of people that talk to you [in advance]. Kliph Nesteroff: Certainly. I wanted to talk to you a bit about your early nightclub career. 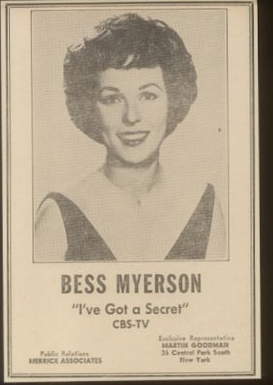 You were prolific as a nightclub comic, but I guess you really didn't do television until the sixties. But I wanted to read you a brief sentence from a newspaper review and it must be from when you first started doing stand-up. It's a bad review. 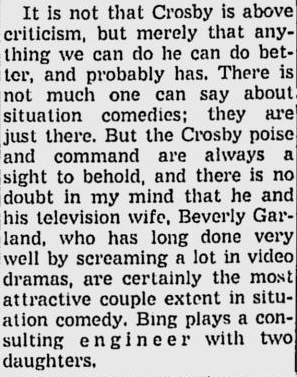 From the Miami Sunday News, July 1951. "Ramsen is a lad with a great memory. He uses jokes mouthed by practically every comic who has played Miami. 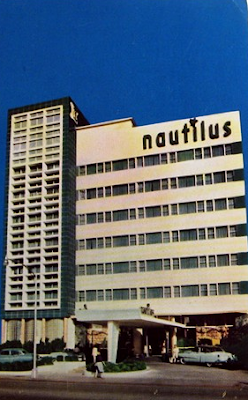 As a result there are more laughs at a wake than at The Driftwood Room of the Nautilus Hotel." Bobby Ramsen: Yeahhhh. I had just begun and it was written by a guy named Solloway. 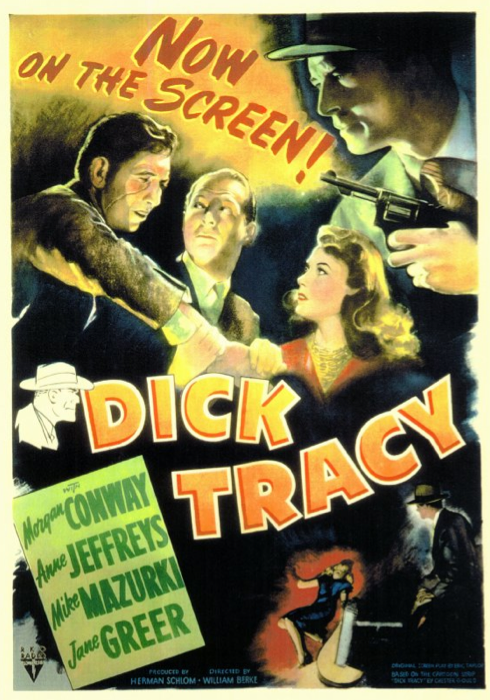 Solloway was a newspaperman down in Floridia and he also wrote the reviews for Variety. Listen, Kliph. I'm gonna tell you something. I remember that review. It was very hurtful and I was just beginning. You've got to remember that when I say I was very young - I was about nineteen years old when I started doing nightclubs. So that review in the Miami paper about The Driftwood Room. I came down for one week. 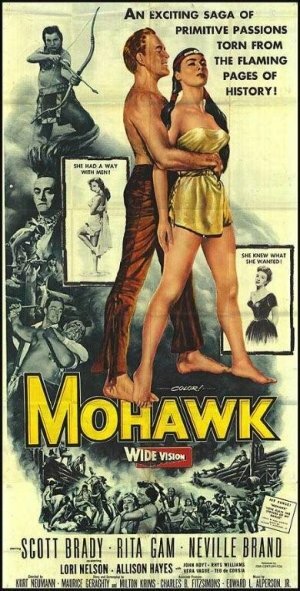 I closed the show with a singer named Rosette Shaw. They were bringing Don Cornell to come in and they didn't have a comic. They said, "Bobby, would you stay another week?" I said, "Of course!" I jumped at the chance to be playing Miami and an important hotel. Every year they put up a new hotel. In 1945 when World War Two was over, America had a party and the party lasted until 1955. All the guys came home, we had won the war, people were working, money was no object, people were going out every night. Every town in America - Chicago, Philadelphia, Miami, New York, Boston - every other door in every small town in America was a nightclub. Comics were working. Marimba players opening the show. Dance teams! Contortionists! 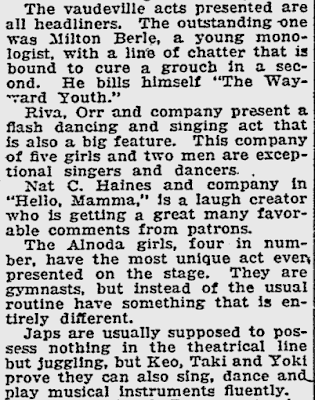 Older people whom had stopped working because the vaudeville era was over - those people were working. Everybody had a job in show business. Miami was building a new hotel every year and The Nautilus that was that year's. 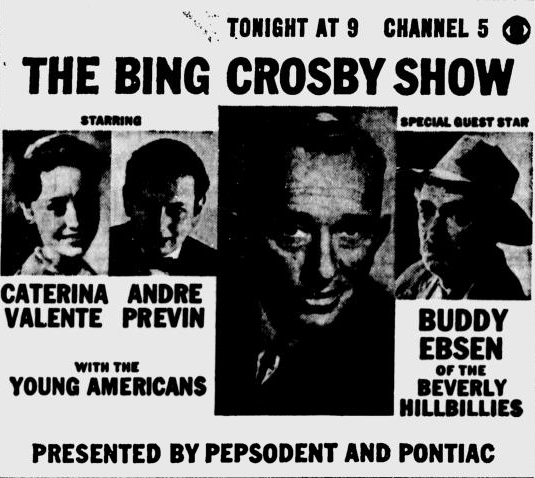 So it was 1951 and I closed the show and then Cornell came in. 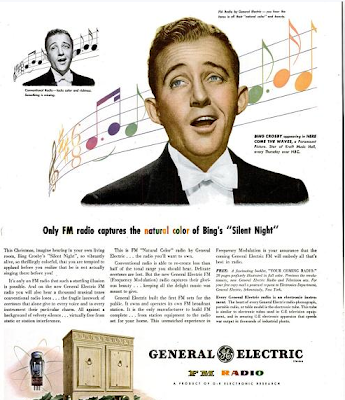 He had just made a hit record called It Isn't Fair with Sammy Kaye's Orchestra and he had this wonderful, deep baritone voice. I stayed on for an extra week. I was just beginning. There isn't anybody in show business that isn't influenced by somebody else, like somebody that you copy. Everyone has an idol. I had a wonderful lunch, a wonderful, memorable lunch with Milton Berle one day at Nate and Al's Delicatessen in Beverly Hills. I asked him so many questions, because he was my idol. 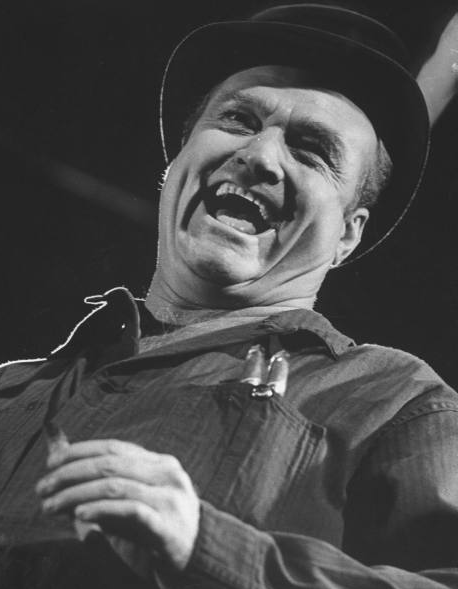 I wanted to be Milton Berle and I wanted to be Bob Hope. I didn't want to be like them - I wanted to be them. I said, "Milton, you were my idol when I was a kid." I had seen Milton in so many different venues when I was a little boy. My parents used to take me to see charity shows in Madison Square Garden and Berle was always on. They took me to see the Ziegfeld Follies with Milton. This was after Mr. Ziegfeld had passed away, they put on an addition to the Ziegfeld Follies and Milton Berle was the star ... Berle was the only performer that ever got the name above the title in the Ziegfeld Follies ... Anyway, Milton was my idol. What I'm saying is, there isn't a young comedian out there that doesn't [cop jokes]. I knew every joke I ever heard. I went to the presentation houses on Broadway. 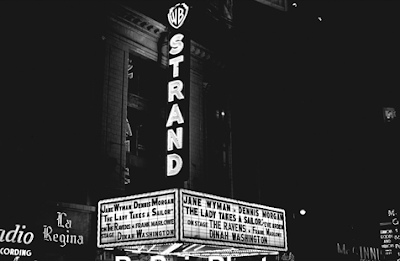 I went to The Strand, The Capitol, The Paramount. They all had big bands, a girl singer and a sprinkling of different acts and there was always a comedian on who did seven or eight minutes. I could go to see one of those shows, come home, and sing every song to my parents. Just seeing the show once - I remembered everything I heard on that show. So when I became a stand-up, I went up to Boston. I did a stint in 1947, I was eighteen years old, at an adult camp. It was a resort, but in those days they didn't call it a resort. There was no main building. It was a series of bungalows. Young people would go up and they would vacation at these resorts. I did all the stuff that I had ever heard and I was the comedian for the summer. Some gentleman came through there as a vacationer and he said, "You know, you're a very funny kid. I used to be a comedian. I now work for Columbia Pictures in Boston. If you ever pass through Boston give me a call. I know a lot of agents and I'll get you a job." So I stopped off in Boston and call this guy. Sure enough, he got me a two date gig at The Holiday House in Port Tucket, Rhode Island. That's how I got started. I stayed in Boston for three years working all of the clubs. Mr. Salloway, years later, he gave me one of the best reviews that I ever got. But at the time, Kliph, I was doing everybody's material. Now it's different. The business changed many years ago, when people who had the knack for writing material said, "The heck with this. I'm not going to sell this. I'll do it myself." Woody Allen was one of them. Kliph Nesteroff: Yes. 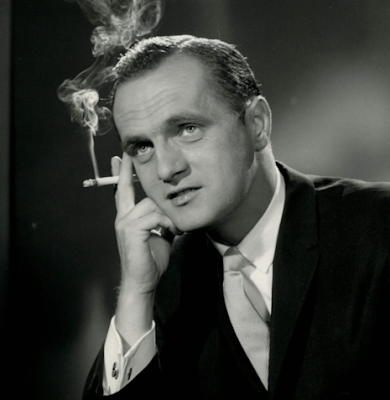 There's a famous story about your good friend Bob Newhart. He tried to sell material to Don Adams backstage after one of Don's nightclub gigs and Don Adams turned him down. Told Bob Newhart his material wasn't funny. Several weeks later Don Adams is on Jack Paar doing each and everyone of the bits that Newhart had pitched to him. Killed. 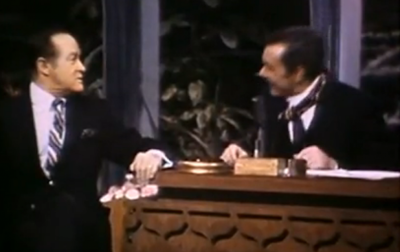 Bob Newhart saw the show and decided he better just start performing the material himself. Bobby Ramsen: Yes, he told me this story and he's mentioned it many, many times. Absolutely a true story. Nobody is above it. The only one that I would say was above taking other people's stuff from all the years that I've been in the business is Hope. Bob Hope treasured new jokes and was wealthy enough and famous enough to be able to buy it. He did not have to steal other people's stuff. 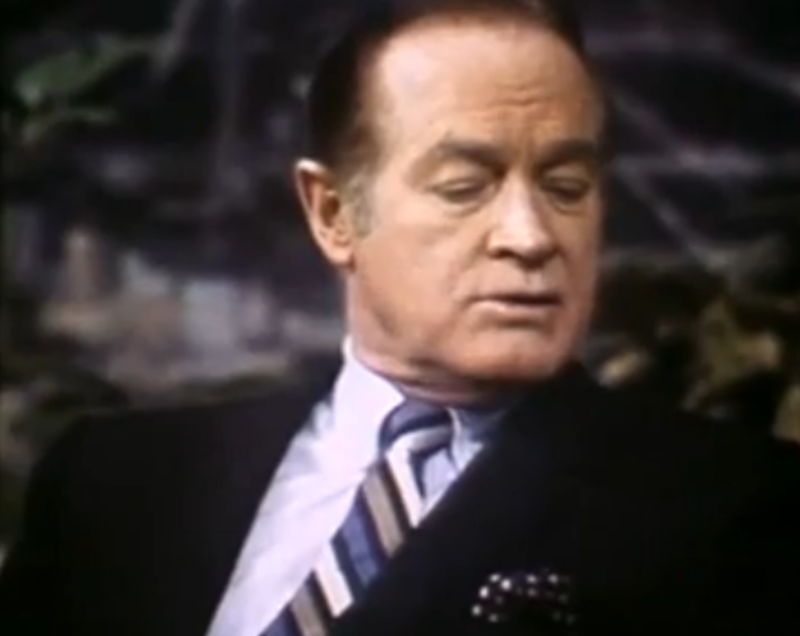 Not that there weren't other people out there in Bob Hope's position, but Bob Hope just was very, very, very careful. He wanted his own stuff. He paid for his own stuff. 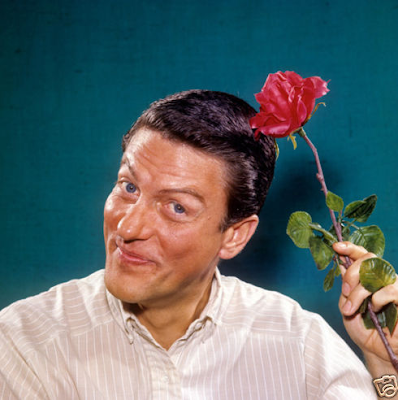 Milton Berle, of course, had a reputation of stealing. It got so bad during the height of vaudeville days. 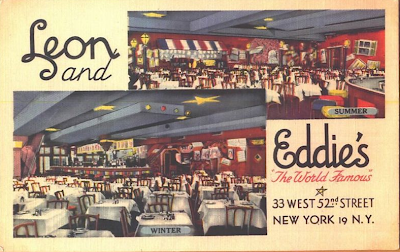 Milton used to send somebody to Philadelphia to The Earl Theater, which was a big vaudeville presentation house, to listen other comedian's jokes, then come back. People were getting ready to come into New York and breaking in stuff at different [out-of-town] theaters. He would grab all these people's jokes before they even came into New York! That's how he got this terrible reputation. Kliph Nesteroff: Jesus, I wonder who those people he was sending - I wonder who those people were! Bobby Ramsen: These are stories I heard when I was a kid, but Milton had that reputation for stealing jokes. And he was proud of it! They called him "The Thief of Bad Gags." The Troupers Club was a spin-off of the Friar's Club. They were a group of wives of theatrical managers and they called themselves The Troupers. They used to put on shows. Lou Walters was a friend to The Troupers. He would allow them to use the club after the main show on a particular night to have an affair at the Latin Quarter. All the stars would come out. They were very big supporters of the group. So they were going to give Corbett Monica a testimonial on an afternoon at The Persian Room. They called me and they asked me to come by and Totie Fields was the mistress of ceremonies and they introduced all of the acts. Earl Wilson was there and I got up and I did a joke. 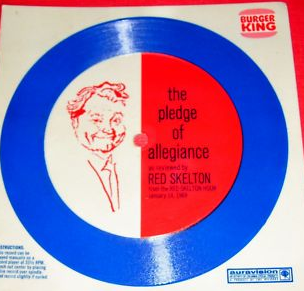 At that time Red Skelton was on the air and a very, very important star. So Wilson repeated the joke in the column and a few nights later I'm watching the Skelton show and Skelton did the joke. "A guy has a problem at his home with the plumbing. He calls the plumber. The plumber came and he fixes the guy's pipe. The guy says, "How much do I owe you?" Guy says, "It's a thousand dollars." "A thousand dollars!? A thousand dollars for fixing my pipe? What's going on here? For heaven's sake I took my entire family and my wife and two kids, we went for our yearly exam to the doctor and the whole thing came to about six hundred dollars. You're charging me a thousand dollars and you're only here for five minutes? My doctor charges me six hundred dollars and that's for four people!" He says, "Yeah, I know. That's what I used to get when I was doctor." There's nothing you can do about it. It was so prevalent. You can't copyright a joke. I had an experience with a joke that Joan Rivers stole. But Joan Rivers steals everyone's material. She is the Milton Berle of the modern era. She has a documentary and I watched it the other night. She brings the interviewer to a file. She says, "These are my jokes." Please believe me, Kliph, I swear to you. Not one joke in that entire file - and she had drawers and drawers and drawers of jokes on index cards - she just takes everything she hears and then she calls it "my jokes." I promise you, she didn't write one joke in that entire file. Anyway, I used to have a joke in my act for a long time and I still do it once in a while. The joke that I was using was about the [birth control] coil. "My wife is now using the coil. It's not a real coil. It's an old slinky that was laying around the house. You oughta see her go down the stairs now." A friend of mine, a fellow comedian, his name is Howard Beder, and he's now an agent and he books cruises. He went to Las Vegas and he was opening for somebody and he went and saw Joan Rivers. Now I had been introduced to Joan Rivers and she was in the audience when I worked with Juliette Prouse at the Desert Inn. 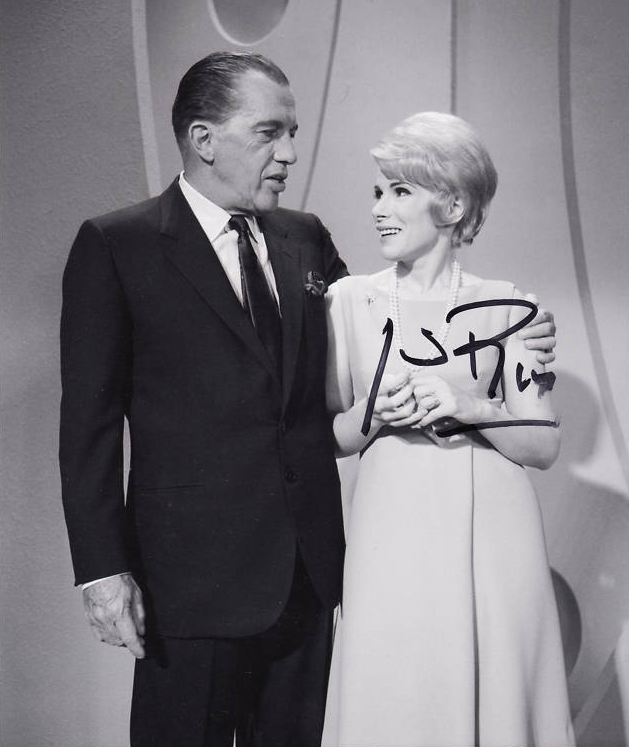 Somebody said, "Bobby Ramsen, this is Joan Rivers. 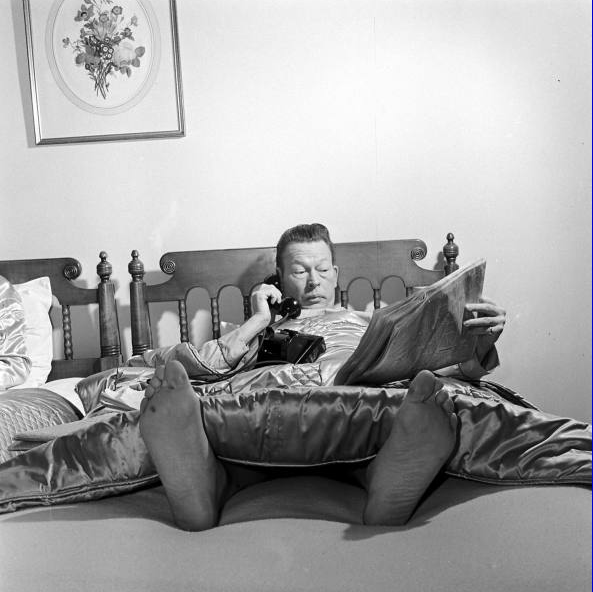 Joan this is Bobby Ramsen." I extended my hand and she turned and talked to somebody else. She didn't even want to meet me. But she had been in my audience, okay? She grabbed the joke. She said to Johnny Carson, "You want to hear a great joke?" and she did my joke! I had done it all over the place. I had done it at The Copa and was quoted and everybody knew that it was my joke. She tells the joke on an interview show with a guy named, I think, Jack Delaney. He had a newspaper column in the Las Vegas Sun and he also had an interview show. On the radio show she does the joke. Howard Beder said to her, "That's not your joke. That's Bobby Ramsen's joke." She looked at him and said, "Who's Bobby Ramsen?" Howard Beder said to her, "You know who Bobby Ramsen is and that's Bobby's joke." It's prevalent and it's out there and there's nothing you can do about it. 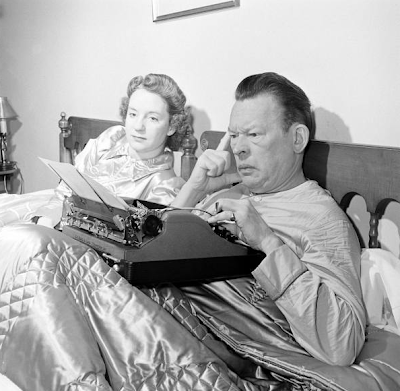 There's a story about WC Fields. He waited for somebody in the backstage entrance up an alley somewhere. He waited for some comic who had taken some of his stuff and he beat him with his cane! He said, "Stop taking my jokes!" Rodney [Dangerfield] was the same way as far as people being protective. Rodney always had his own stuff and when he'd hear that someone was doing his jokes, he went to them. I ran into Rodney at The Rat Fink Room where a comedian named Jackie Kannon was working for years. He was doing one of Rodney's jokes. I was there in the lobby of the club. It was in The Roundtable Club on 54th Street or something like that, a little club upstairs where Jackie held court. It was very successful. He was there for a long time. Kannon came out and Rodney said, "Jackie, you're doing one of my jokes." He said, "I swear someone told me the joke. I didn't know it was your joke. Please Rodney." He was begging him. "These jokes," said Rodney, "That's one of my children. Don't do the joke anymore." So he was very protective of his jokes. Do you know the name Mort Lachman? Mort Lachman was a famous writer and a great gagman and he ended up writing for Bob Hope. He became his headwriter. He just had his finger on the pulse and he wrote great topical jokes. Hope loved topical jokes. He'd open up all of his specials on NBC with a topical joke. He would tape all of the sketches and all of the guest's musical numbers and then he'd put it together. But the opening monologue - he would use Johnny Carson's audience. He would ask Johnny, "Can I come by after you go off the air?" Hope would [be able to make] the monologue so topical because it was the last thing they did before it went to air. So, Mort Lachman worked for Bob Hope and Bob Hope loved him. Like I say, he had the pulse and the mind and the timing. They were together for twenty years. Mort Lachman gets off a plane and an interviewer is at the airport from the Chicago Sun Times. He says, "Mr. Lachman, you've been writing for Bob Hope for twenty years. What a run. How has it been?" "Well," he says. "It's been one of the most wonderful experiences of my life. 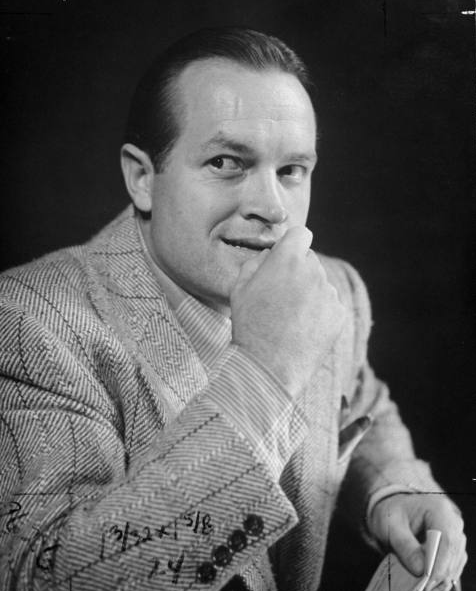 I love writing for Bob Hope. I understand Bob and his timing and I love everything about Bob." Then off-handedly Mort Lachman says, "The truth of the matter is... without Mort Lachman, there is no Bob Hope." So that was printed in the paper. Bob Hope fired him. He phoned him up and said, "Mort. We're through. You can't work for me after saying that." Bobby Ramsen: At that particular time, Mort Lachman's girlfriend was one of the writers on All in the Family. His girlfriend got him a job on All in the Family and Mort became one of the important writers on All in the Family. He didn't even really skip a beat. 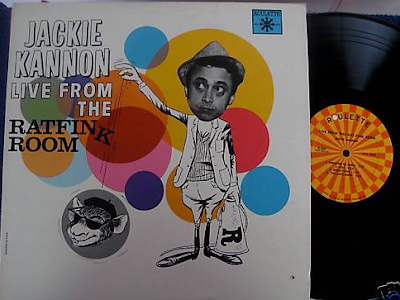 Kliph Nesteroff: Since you mentioned Jackie Kannon - he put out a comedy record that was recorded live at The Rat Fink Room and it was on Roulette Records. 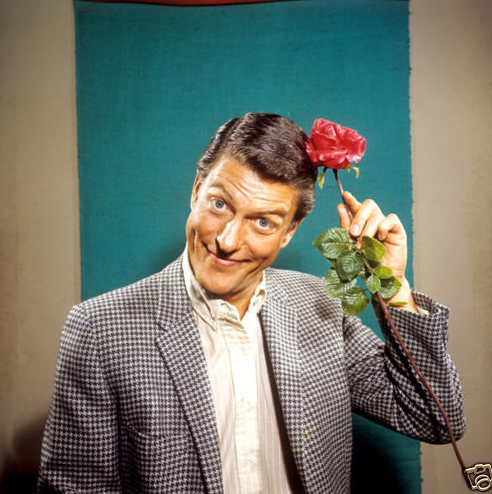 Roulette was run by Morris Levy, the racketeer. Bobby Ramsen: That's the guy who owned The Rat Fink Room! He owned it! He owned The Roundtable downstairs and he had this little room upstairs. He got friendly with Jackie Kannon. 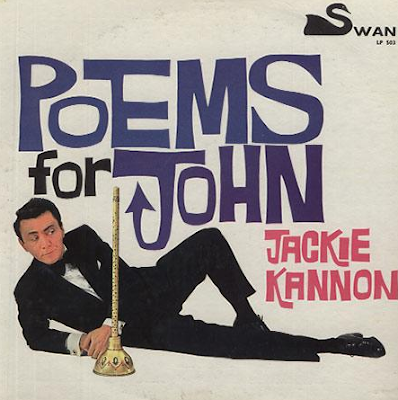 Jackie also published some books - Poems for the John. 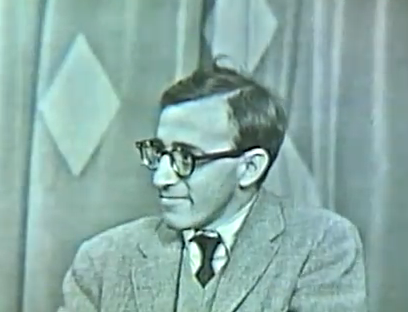 Kliph Nesteroff: So you were familiar with that Morris Levy element? 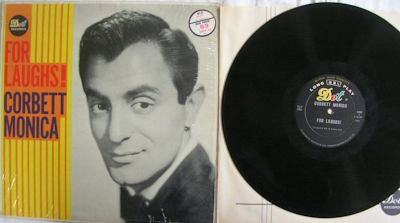 I was actually talking to Bill Dana and he told me that Roulette Records, who pressed two Jose Jimenez albums, did so without his approval, sanction, or knowledge. They simply recorded audio straight off episodes of The Steve Allen Show and released them as Bill Dana comedy records. When Dana and his manager objected, they started getting threats, telling them to lay off. Bobby Ramsen: That's a very interesting story. I knew Morris Levy's background. In those days, any of the nightclubs were being run by that element. That element owned The Copacabana. But Jules Podell was a kitchen man. He was brilliant and he knew how to run a kitchen. He was so famous for putting together a working shop kitchen group that when The Sands Hotel was opened by the same people as The Copacabana, they asked Podell to go out to Vegas and spend two or three weeks putting together the kitchen staff and how to run it and so on and so forth. Podell was with The Copacabana right from the very beginning in 1939 when it opened. They used another guy named Monte Proser. He was the first to be the head of the club. It was "Monte Proser's Copacabana." Then after that it was a former bouncer, Jack Entratter. 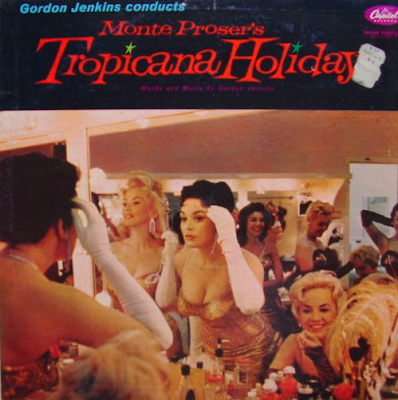 Jack Entratter's Copacabana and then eventually they gave it to Jules Podell. Kliph, in answer to that question, it was a natural flow of ownership and leadership. These guys during prohibition were the ones running speakeasies. Somewhere along the line somebody said, "Hey! Let's put in a show!" So they started using dancing girls and singers and comedians. When prohibition was repealed they were there. They already had the know-how. I worked for Eddie Davis, one of the sweetest men. He was in partnership with a guy named Leon Enkin and they ran Leon and Eddie's. It was a big, important club. Eddie was an entertainer. 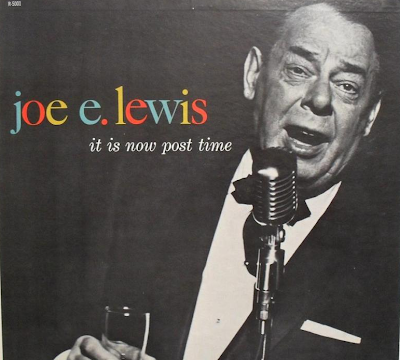 He sang ditties and he sang these different songs like Joe E. Lewis did. When they first opened up it was a little speakeasy maybe five or six doors down from the 21 Club. Jazz Street. There were a lot of little jazz clubs. Leon and Eddie's later turned into Toots Shor's and then they tore the building down. Toots Shor started as a bouncer for Leon and Eddie's. That's how he got into the business. He was a bouncer. 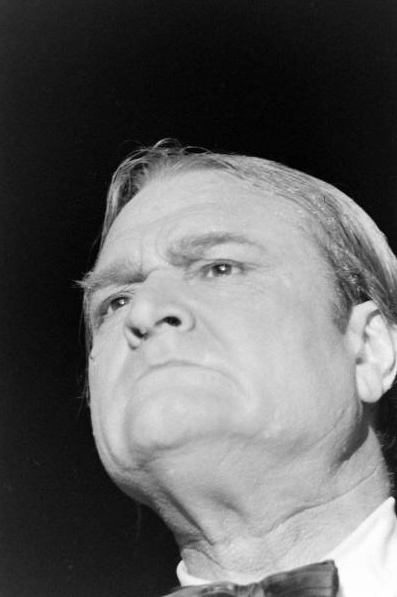 Joe Marsh was also a bouncer there and he eventually opened up a steak place called The Spindletop. It wasn't a nightclub, but it was a very nice, pricey restaurant in one of the hotels. It was a natural thing for these guys to own the business and to be involved in the business because they were already in that business. Same thing goes for The Cotton Club. The Cotton Club was run by "The Boys." There was no doubt about it. If you worked for one of the better clubs... you were working for the boys.